What’s it all about? A lifesaver for your phone and wallet but I don’t think they had 4G in the highland clearances. Here’s everything you need to know about the origin of the humble sporran. So, after writing a rather cocky opening paragraph we started researching this article and it seems it’s not as straight forward as we thought. There’s a lot of different theories floating around about the sporran and how it came about. We might need to change the goalposts a bit. One thing most people seem to agree on is that the sporran exists to address the fact that the kilt is void of pockets, but that’s where the agreements end. We found a number of different explanations so here we’ll run through some of our favourite theories. 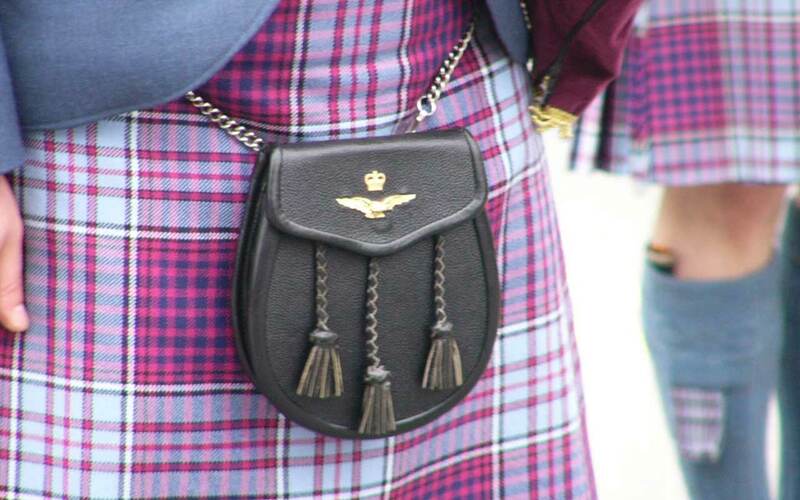 Many think the sporran is a descendant of the medieval belt pouch, a small bag that was hung from the belt to keep precious personal items like coins in. It would have been worn on the hip and attached to the belt rather than having it’s own strap. Our sporran makers know a thing or two about sporrans, so we asked them. They’re also of the opinion that it would have been a more basic bag than the dress sporrans we use today but for a very different purpose. Our sporran makers know a thing or two about sporrans, so we asked them. Originating in the Scottish Islands, perhaps even Ireland, our sporran makers site the origin of the sporran as a bag to keep the hunger at bay. A pouch that would have been used for storing food, probably oats or similar when people were away from home for long periods or long journeys. While these theories may well both stand, it’s a very different sporran that we wear today. Some feel the sporran hasn’t so much evolved from those humble beginning but more redesigned for the specific purpose of the modern highland dress. The traditional kilt was far more rugged then the finely tailored kilt we wear today and would have dropped well below the knee. The on the knee kilt presented a new problem of protecting a mans dignity, especially with rumours of ‘True Scotsman’ about. The sporran we know today was very intentionally redesigned to act as a weight that weighed down the fabric of the kilt. Given it’s own strap so it could be hung lower than the belt and styled to match the wearers kilt. So there you go, sorry we couldn’t be more definite but opinions are inconclusive. We fell far short of our initial claim, but we learned a lot in the process and hopefully you did too.